When you’re exhausted and drained, you’re less likely to see the blessings right in front of you. When you run at the frenetic pace of the world, you can get caught up in issues that don’t truly matter. Choose to be led by your faith instead of being driven by the world. Step away from an unhealthy routine before you lose sight of what you’re called to do. It’s tempting to do everything everyone else is doing, be all things to all people and be everywhere at once, but that isn’t the best use of your resources. 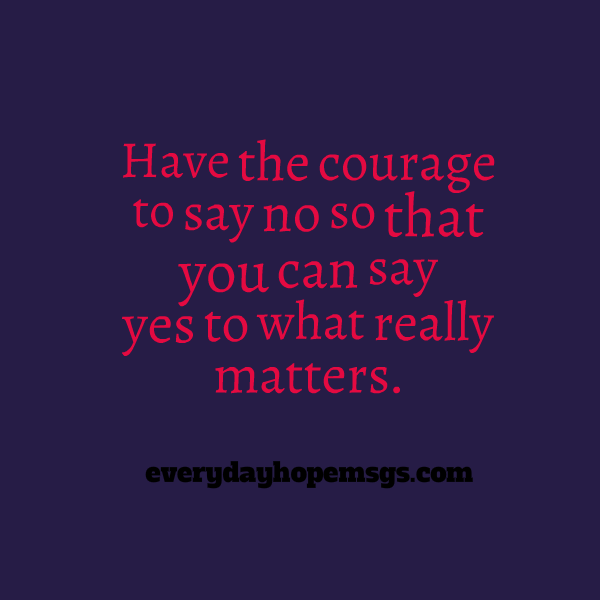 Have the courage to say “no” so that you can say “yes” to what really matters. Taking a step back may feel strange at first, but you will free yourself to be powerfully effective in the things that really matter. Each morning, take a few moments to center your day. Set yourself up, every day, to be led by God’s will for your life.